In this very brief reflection, I present the underlining reasons why I say the controversial Addis Ababa and its surrounding Oromia Special Zone integrated plan proposal is not per se an EPRDF agenda. The paper, as an academic exercise, does not delve into the whole analysis of the document, the processes it took to prepare, the detailed actors, the consequences it brought last year and others related issues. It only emphasizes on the hegemonic ideas behind the master plan initiation and its consequences. The paper raises three main points to analyze how the master plan proposal is not an EPRDF agenda in its essence which includes the Paris-Lyon inter-urban policy lessons [lessons from unitary monolingual very classic nation-state], searching for the actors behind the delay of the implementation of Art.49(5) of the FDRE Constitution, and the developmental agenda and ethno-linguistic borders. The paper finally suggests policy recommendations. The relationship between Addis Ababa and Paris (and Lyon) goes as far back to several decades. But it took serious roots following the conclusion of the Addis-Lyon Memorandum of Understanding in 1999. After the first ten years of similar plan relations, in 2009, a team of experts were sent to France to learn how to develop inter-city integrated master plan, particularly of Lyon and Paris city integrated master plans . Imagine France is a very old unitary state; a very classic “homogenous” nation-state; the state that was built on what is usually referred to as successful assimilation of majorities into French minorities . French is a best assimilation model of the world that Tedla Haile had once recommended for Ethiopia in 1930 . Ethiopia is a federation; it is a multinational federation; it is a very young post-conflict multinational federation. How on earth does a federation meant to manage its own internal differences ignore its very purpose and decide to learn and follow the urban developmental path of unitary monolingual nation-state of France? French had nothing to worry about diversity of any form. Ethiopia of the old regimes in fact did not worry about how to manage its diversity. But I know that Ethiopia under the EPRDF had worried about the natural diversities of its peoples, and that is why I strongly think we entered into federalism chapter. So, did the EPRDF drop its initial concern for society’s internal differences and its implications for development policies and activities? I don’t think so. Thus, EPRDF must have been misled by few elites who did not understand (or did not want to understand) the importance of ethno-linguistic based federalism for the country. Hence, the plan was not an EPRDF plan in essence. Such type of lessons from unitary mono-national state should be considered wrong lessons. Lessons for our country should have been (or should be) drawn from the experiences of multinational federations such as India, Switzerland, Belgium, South Africa, Nigeria, Canada. “The special interest of the State of Oromia in Addis Ababa, regarding the provision of social services or the utilization of natural resources and other similar matters, as well as joint administrative matters arising from the location of Addis Ababa within the State of Oromia, shall be respected. Particulars shall be determined by law”. Social services such as schools in Afaan Oromo, specialized hospitals in the language of the Regional State, broadcasting media under the state of Oromia, cultural institutions, employment opportunities, theatrical centers, Oromia housing programmes in Addis, water related provisions, and others in the City Administration of Addis Ababa should have been determined by law and implemented by this time. These are part of diversity managements in urban areas. Not only for Afaan Oromo speakers, what is wrong if we start teaching Gamo minorities in Sheromeda in their own mother tongue as it happens in Gamo Zone of SNNPRS? What is wrong if Tigrigna speakers got the opportunity to teach their children in their mother tongue in Addis? The question is similar for other major linguistic groups in Addis. What is the problem if Afaan Oromo is given as a subject for all students in Addis? The key cause of the war all-over the country was the issue of nationalities. Any solution that did not address them did not address the issue of peace and war… People were fighting for the right to use their language (emphasis added), to use their culture, to administer themselves. So without guaranteeing these rights it was not possible to stop the war, or prevent another one coming up . The special interest of the State of Oromia and the rights of other minorities should be articulated, protected and promoted in Addis as soon as possible. EPRDF should wake up and revise its language, cultural and social policies in the capital of the Federation, the capital of Oromia, the capital of Africa Union. I know (and understand) that Ethiopia now is pursuing developmental state policy. My aim is not to contest it here. But I (perhaps others too) believe that any development should be pursued according to the constitutional framework. Put it differently, it needs to take into account of the ethno-linguistic settlement patterns, their specific needs and their rights to access the development itself in their language through their representation and effective participation. The target of the development must be changing the lives of the people; it should not evict the poor farmers and suburbs or it should not emphasize on the development of the land. I am talking about human development! Therefore, the development should develop the languages, the cultures, the social identity of the residents first so that the roads, the recreational centers, the railways, the highways, the specialized hospitals, all that is going to be constructed will be utilized effectively by the residents, whom the development should benefit. People must develop first in our Ethiopian case. Social policy should have empowered the people first before huge modern physical infrastructural developments put in. Unless we educate our poor first, who is going to use the development? The rich class? The already educated class? Furthermore, we should not let the poor face the dictum of “the fit will survive and the unfit will die” neo-liberal market principles which claims that it is language or ethnic or color-blind policy. No. The EPRDF knows very well how much the neo-liberal policies are really difference-blind policies. The government should have designed strong social policy to protect the vulnerable cultural groups in such wave of market. Development must be administered which should proceed according to the constitution, in our case according to the federal-state division of power. Who should administer developments in Burayu? It should be the State of Oromia based on its constitutional powers. Can an Amharic speaking joint office seating in Addis administer socio-economic development projects in Afaan Oromo speaking part of Oromia? If that is so, we are back to the old regimes development practices. Is development blind to diversity? Yes, in the past. Thus, it is simple to predict the hegemonic idea that is going to be beneficiary of the move in the long-run. I had the opportunity to participate in one of the awareness creation stages related to the master plan (in Addis) in early 2014; the comments from many participant elites were shocking in the sense that they target (against) the Addis-Oromia borders because majority of them spoke their longing to see the day the border is dissolved so that, they say, they will freely move. Ajab! So, who is behind such rushed and less-protocoled development policies? The answer is the same: those who did not accept our state and societies reconfiguration on the basis of cultural identities. Finally, I advise that EPRDF should wake up before it is too late to respond to such plans as the Addis Ababa and its surrounding Special Zone of Oromia integrated development plan. I repeat the plan is not EPRDF agenda in its spirit, in its essence. EPRDF should rethink who is really behind this plan and who is pushing from behind. Who is really going to be benefited in the short-run and in the long-run from the plan? If a coordination of developments is needed (of course it is needed), no need to have seemingly secretly constituted coordinating formal office that is run by Amharic speaking officers and staffs in Addis under the Mayor of Addis. It is a unitary model of France. After all, we have seen that the draft proposal was prepared only in Amharic, thought in Amharic, training provided in Amharic which would predictably expand the frontiers of Amharic along with development activities at the expense of Afaan Oromo if implemented. Both Addis and Special Zone can have independent plans, of course with different needs, and can implement without centralized authority, i.e., without unitary modeled master plan. We should also know that the development needs of the Special Zone of Oromia are very unique and different from that of Addis. Therefore, the last year’s resistance to the master plan was not resistance to development as many people and I understood, it was a resistance to defend the Constitution. Any violent protest will not help the people and the EPRDF, it will only benefit those who are inimical to differences and peaceful co-existences. I remember that when the Oromo students resisted (I also resisted) the proposal, those who have been against our federalism were very happy to conclude that “this is the outcome of Ethiopian federalism”. It is therefore very good for the EPRDF to drop the master plan. EPRDF should further rethink the values, symbols, social profits associated with the consequences of its overall development policies and outcomes. Put differently, it should scientifically assess and re-assess the beneficiaries of its developments (in terms of national economic, social, political, cultural, linguistic aspects) of the last two decades. 1. 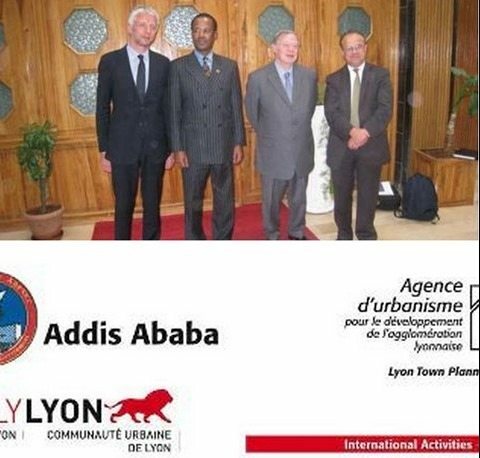 Addis Ababa/Lyon City-to-City Cooperation. [PDF] Addis Ababa, July 2009. 2. David A. Bell (2001) The Cult of the Nation in France: Inventing Nationalism, 1680–1800. 3. Tedla Haile quoted in Bahru Zewde (2002) Pioneers of Change in Ethiopia: The Reformist Intellectuals of the Early Twentieth Century, Eastern African Studies. Oxford: James Currey. 4. Government of Ethiopia (1995) ‘Constitution of Federal Democratic Republic of Ethiopia’. Federal Negarit Gazeta, Proclamation No. 1, Addis Ababa. 5. Aalen, Lovise (2002) Ethnic Federalism in a Dominant Party State: The Ethiopian Experience 1991-2000. Michelsen Institute of Development Studies and Human Rights.